Who says you can’t play with your food? I say go for it. I do. I like to make mine into an art project before eating it. 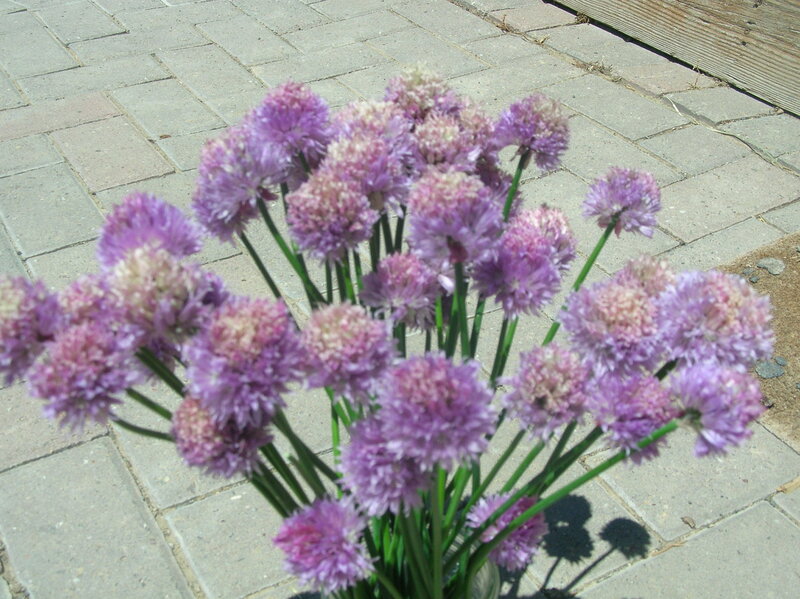 I discovered this year that chive flowers are edible, along with many other plants but that is for another post. 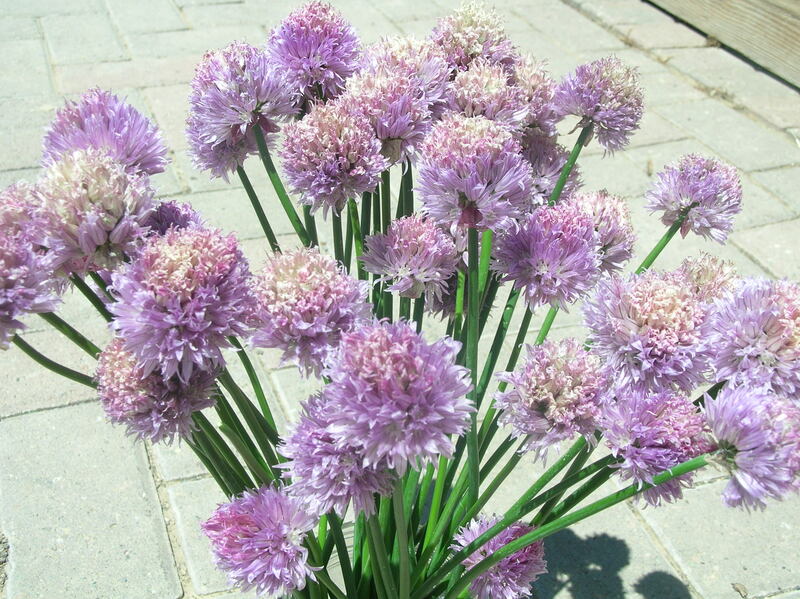 You can eat them raw or use as garnish or saute them for dishes or substitute them in any recipe for the onion. This flower is so amazing. This is my new obsession. I love flowers and eating what we grow, but this is better yet. It’s beautiful, purple (my favorite color) and edible. So now I can look at the brilliant, purple balls growing and then pick them to garnish all our meals or cook in our meals, which I have done a lot of lately. It’s beautiful and good to eat. 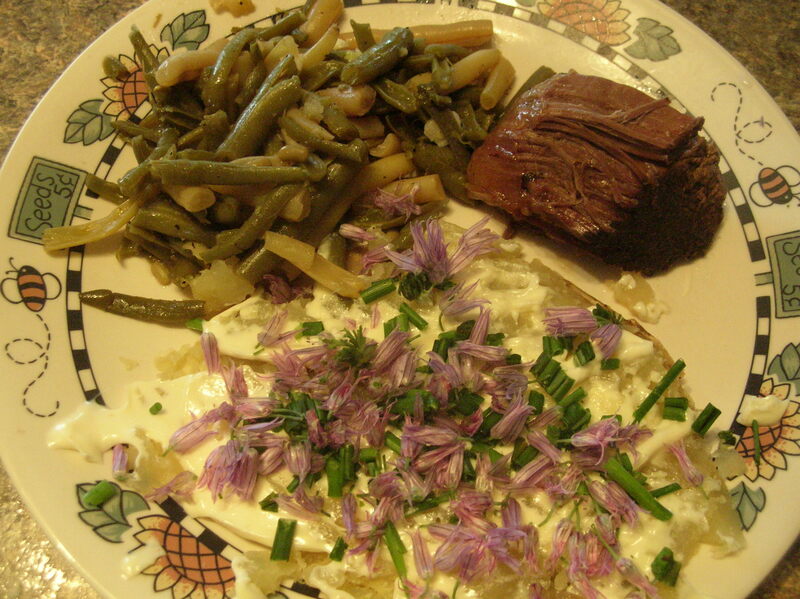 Sprinkle the chopped purple flowers on any dish and make it look like a gourmet meal, at least in my eyes! I love good homegrown, made-from-scratch food and consider myself artistic. Now I’m combining my interests. Food, flowers and art. 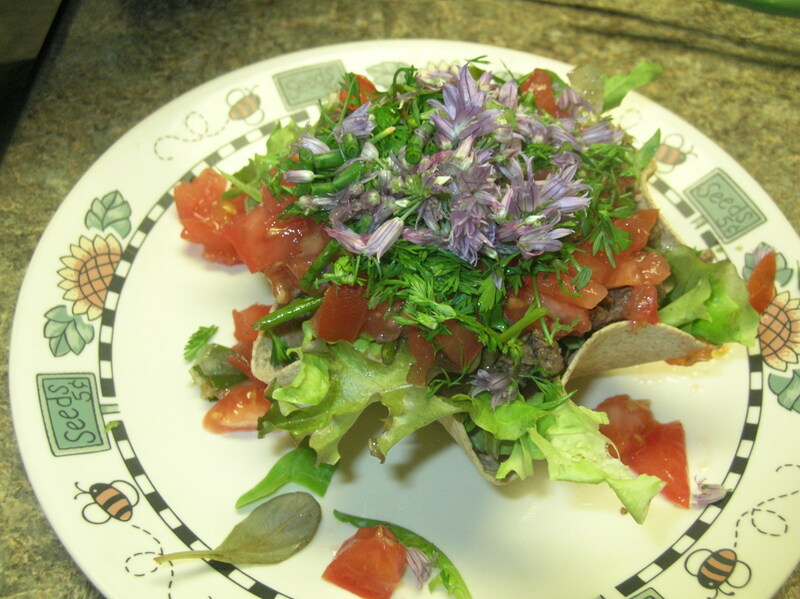 This taco salad consist of our homegrown, grass-fed beef, spring mix lettuce, chives, green onion, cilantro and local hydroponically grown tomatoes. It is empowering to cook a healthy, nourishing meal made with all or almost all local, organic, fresh produce, herbs, meat or eggs. Yum!! Home-made pizza with whole wheat crust. 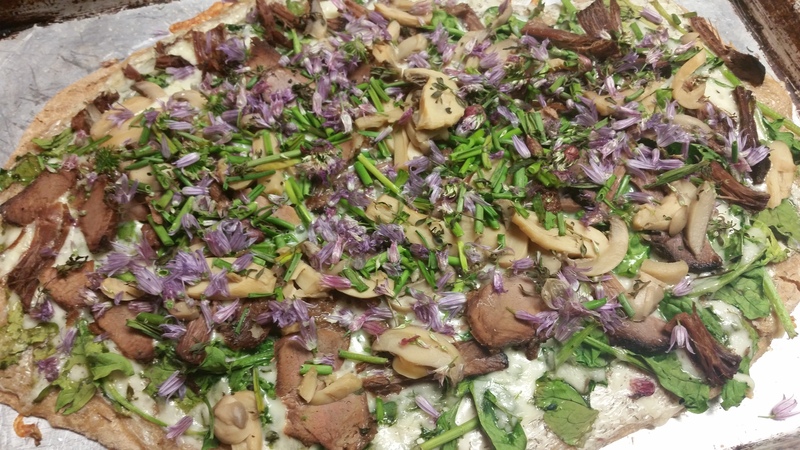 The first picture is a roast beef, spinach, mushroom, chive flowers and thyme with a homemade white sauce. 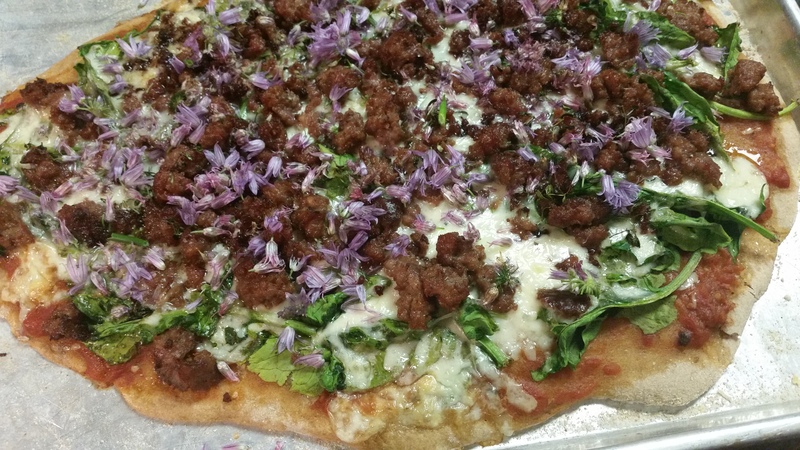 The second picture is sausage, spinach, thyme and chive flowers. Or they make a beautiful bouquet too! Such an amazing food and flower!